Last year, MEL Films visited a theme park celebrating America’s mythic Wild West in wintery Sweden that became a welcoming home for refugees fleeing the Syrian civil war. But, the Wild West response to a refugee crisis only lasts so long. In the world of short films, it’s rare to find a sequel…even rarer to find a sequel to a documentary. But, S/W favorite David Freid (who crafts insightful and entertaining topical documentaries for the culture and video upstart, MEL Films), doesn’t play by a common rule book. 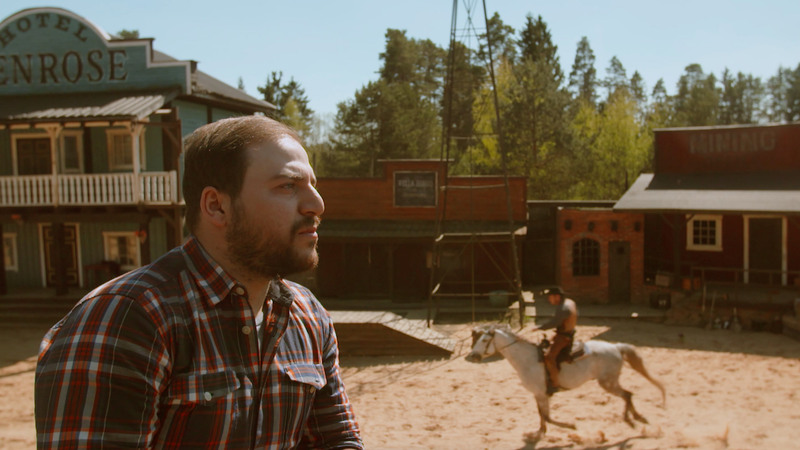 Last year, we featured his delightful short documentary, High Chaparral—the story of a Swedish Wild West theme park that was housing over 500 Syrian refugees. It was a touching and inspiring choice—an antidote to bad news fatigue. But, at the end of the film we were left with a question: what would happen to these people once winter was over and the park needed to re-open? Well, Freid and his team from MEL returned to High Chaparral for the answer. On a basic level, it’s wonderful that Freid and co. cared enough to give us a more complete version of this story. It would have been easy to just let the narrative ride off into the sunset—the kind of feel good clickbait that you could share on Facebook, feel briefly socially responsible, and then, promptly, forget about. That’s not a dig on the original film or people in general—it’s just that in a 24-hour-news cycle and the age of Trump, it’s just hard to stay focused on all the issues clamoring for attention. But, the Syrian conflict is far from over. It continues to be one of the worst humanitarian disasters in the history of world. And, the United States political situation has become…well…for lack of a better term…a shitshow. What a difference a year makes. In returning to High Chaparral, Freid’s resulting film is decidedly less whimsical. If the previous entry was a positive affirmation of the human spirit, this film feels like the inevitable come-down—the reality that exists below the headline. Over the course of ten minutes, we find out about the stark reality of finding a place for hundreds of displaced people to permanently live …about the need to assimilate to a new life and culture (a Syrian doctor is now a stage hand at the park). While we do wish we got to know a few more of these refugees in more detail, it provides an interesting overview about the messy place the world is in right now. Anti-immigration sentiments stretch far beyond Trump and his cacophonous “wall” rhetoric. It’s amazing how easily folks can “other-ize” an entire group of people. It’s the fundamental principle that sustains the embers of racism that still burn in every society. But, if the good-hearted operators of High Chaparral have taught us anything, it’s to resist this poisonous urge. Through their actions they have shown that that the best way to accept an entire group of people is to get to know and connect with one person. Not ones to rest on their laurels, MEL Films is wrapping up post production on several other topical documentaries, from an old marathon runner in India to another one that examines Trump’s aforementioned “wall” in more detail. Stay tuned!